There are three rooms in total residing on the main floor; the only floor. 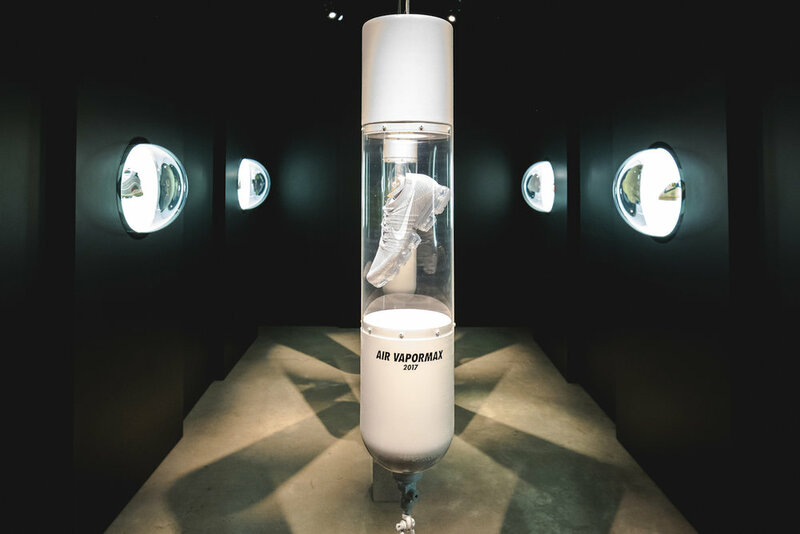 Once you enter you will be introduced to a Nike specialist that will walk you down memory lane of Nike Air and explain a bit of its roots. I personally learned something new from the presentation also. The one thing was that Nike Air was first implemented into the 1979 Tailwind. At the time, many people didn't believe that there was 'Air' in the foam part of the shoe. This is what actually motivated Tinker Hatfield to find a solution for people to see the technology. Hence, the iconic Air Max 1. Below are a few pictures from the first room and this is post 1 of 3. Stay tuned for the Vapor Max and Nike iD rooms. Enjoy the photos!